A vase of Winter reds to brighten up those mornings where it seems the sun will never break through. 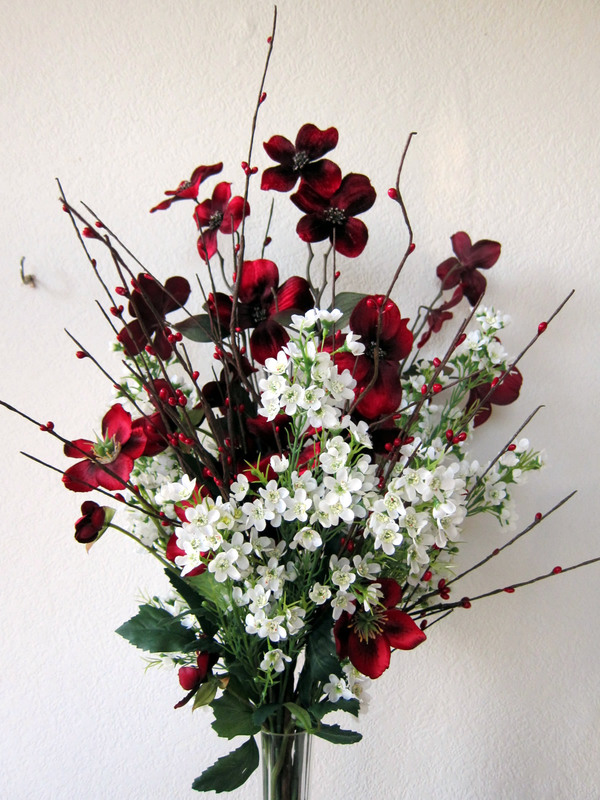 This one has velvety red dogwood, tall red hellebore, white winter sweet and the pixie berry bush. All in our Winter Flowers Category. This entry was posted in Artificial Flowers and tagged Pixie Berry Bush, Red Velvet Dog Rose, Tall Red Hellebore, Wintersweet on 07/01/2019 by 57fb22.